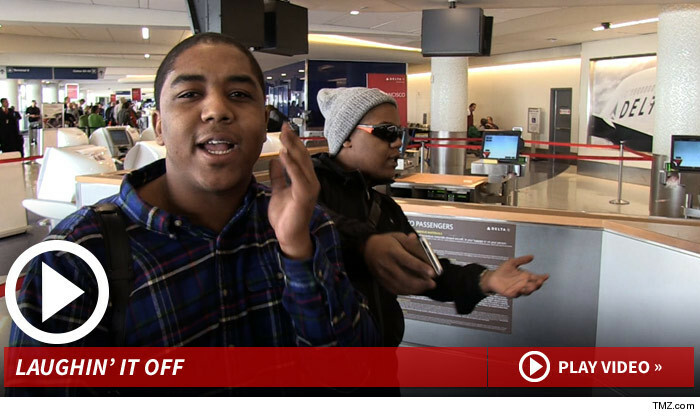 Chris Massey has a swollen face and a gash on his head after a brawl with Lil Twist — but he and his bro Kyle Massey aren't backing the bus over Justin Bieber‘s pal … not yet, anyway. We broke the story … Chris claims he got robbed and beaten up by someone with brass knuckles at Kyle's home last week — and Twist is now a felony robbery and battery suspect. We got the Massey bros at LAX Wednesday and asked about the incident … which landed Chris in the hospital. For some reason they're going out of their way to go soft on Twist. Seems a little late to kill him with kindness.